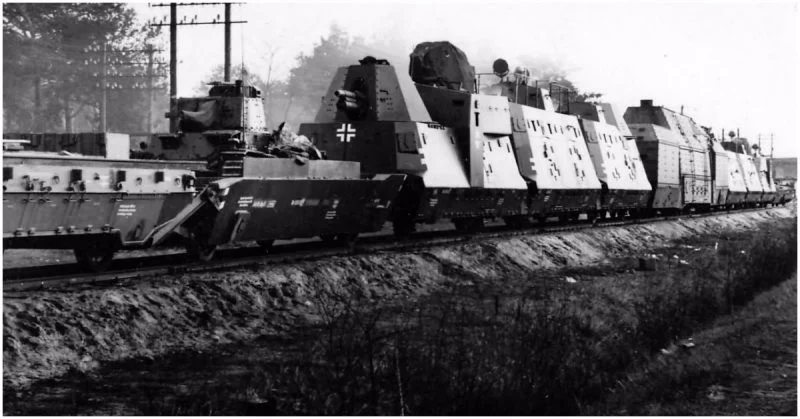 Armored trains are a relic of the past by today’s standards but in the late 19th and early 20th century, these big steel-plated locomotives besieged cities, pierced frontlines and supported infantry attacks all over the world. 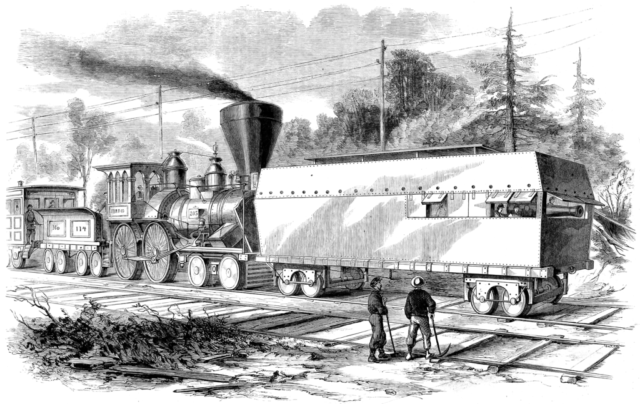 The beasts of the railroads began their epic service in the American Civil War when a single car was built to defend the Philadelphia, Wilmington and Baltimore Railroad. Then war trains saw action in the Franco-Prussian War of 1870, and the First and the Second Boer Wars which led the machines into the 20th century. In 1905, these trains were used in the Far East as part of the Russo-Japanese War, where the advantage of a large armored vehicle on rails during harsh winters proved to be irreplaceable. 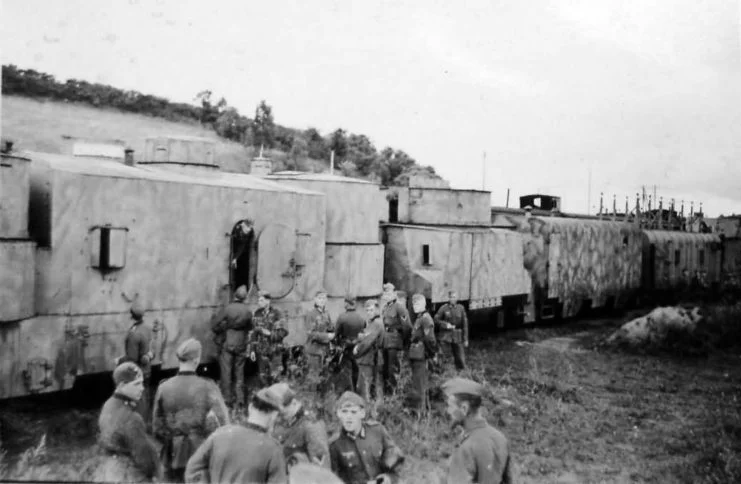 Russia later saw the even more extensive use of armored trains during the First World War and the Civil War which commenced immediately after the October Revolution. Trains were seen as transport mainly at the time, as they were capable of carrying a large number of people and equipment in a short period of time. Its transport use revolutionized the way battlefield logistics were executed at the time. The fact that the machine was tied to the tracks didn’t represent such a disadvantage, for this was the only dawn of the automobile age and the four-wheelers were still lagging behind the locomotive. An 1861″Railroad battery” used to protect workers during the American Civil War. Needless to say, tanks were only in development during the First World War, so flawed designs often lost sympathy in the military, and trains proved to be more reliable. Mounted with cannons and encased with thick armor, the trains were fearsome fighting machines. But trains are perceived as transport mainly today, so this appendix of history takes place in a time before the rapid development of armored vehicles in the interwar period. 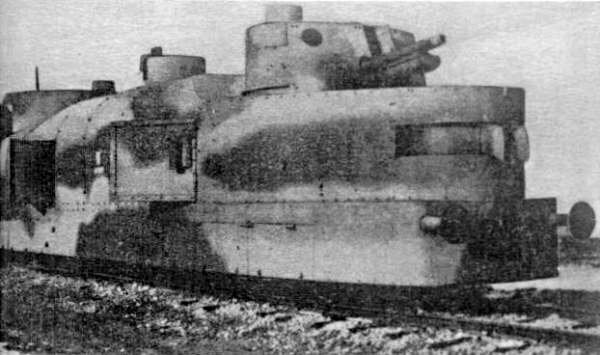 During the Mexican Revolution (1910–1920), the Spanish Civil War (1936-1939) and the Second World War armored trains were actively used by all parties included in the conflicts. In Poland, trains were active in the defense effort of the September campaign against the invading Germans. The Germans, on the other hand, developed super cannons on a train chassis, most famous being the Schwerer Gustav, which saw limited service, but had a devastating effect during the siege of Sevastopol. A typical Polish artillery car from 1939. 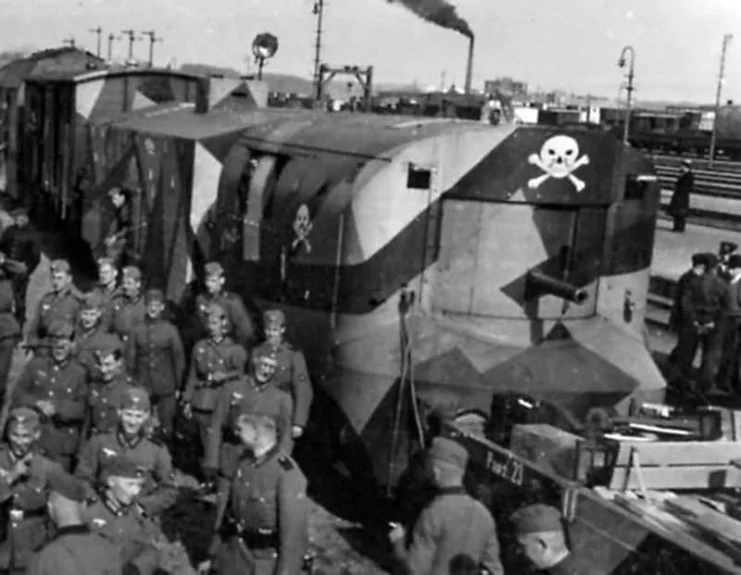 Apart from official military use, trains often served as support for partisan groups which staged massive offensives during the last years of the Second World War. Such was the case in Slovakia, where three armored trains ― The Hurban, Štefánik, and Masaryk ― delivered a decisive blow to the weakened German units in September of 1944. The British and the Canadians both used trains armed with entire arsenals of anti-tank, anti-aircraft and artillery guns for patrolling the coastline and protecting it from a potential invasion. In Europe railroads were battlegrounds, and railway stations took on the form of strategic headquarters. So how did this concept come to be abandoned? 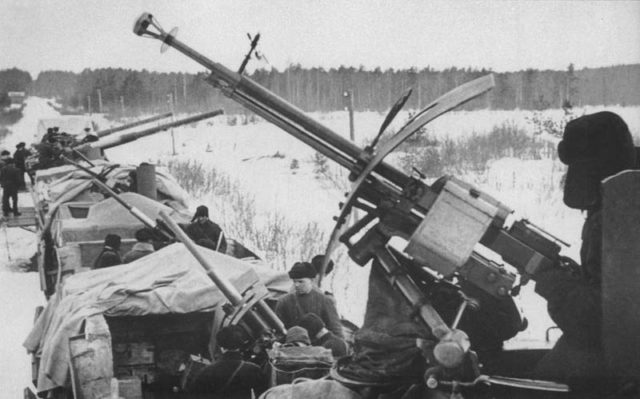 A Russian WW II-era armored train with antiaircraft gunners. 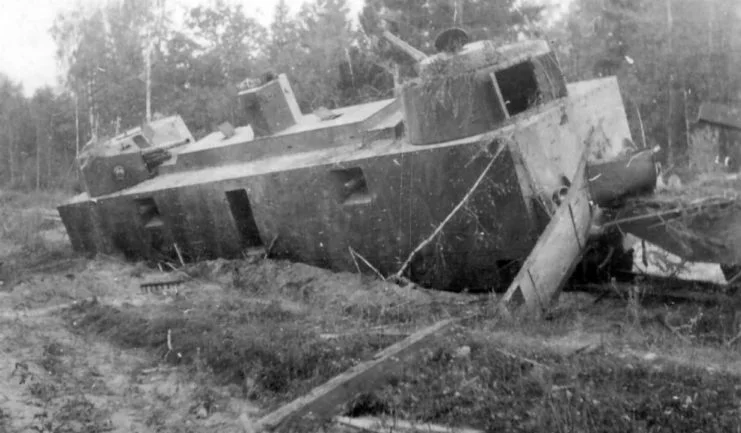 The reason for its abandonment was clearly the change within the methods of warfare, as tanks and motorized infantry dictated military doctrines that slowly pushed out the armored train. Since trains were limited to railroads, they were more vulnerable to bombers and artillery. In addition to that, the railways were more and more subjected to acts of sabotage by commando or partisan units, which slowed the advance of the trains significantly. The mere fact that it relied on the use of tracks turned these war machines into vulnerable giants. Nevertheless, trains continued to serve in battle even after WWII (but far less actively), most notably in Indochina. But in the countries of the Eastern Bloc, the use of trains as means of battle was nurtured as a tradition. Even though it was old-fashioned in a way, it was still suitable for serving as a mobile intercontinental ballistic missile (ICBM) launching ramp. In the late stages of the Cold War, the RT-23 Molodets, an intercontinental ballistic missile, entered service in the Soviet Union during the Cold War. It was capable of carrying a nuclear warhead. 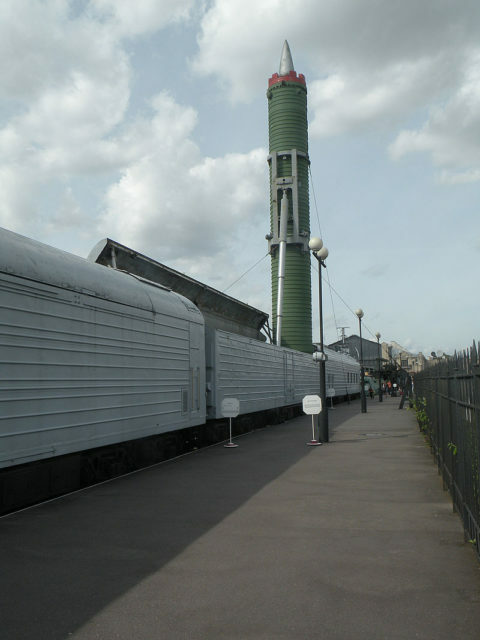 One of the options for transporting and launching the missile was from a specially designed train across the Trans-Siberian Railway. The strategic importance of this railway was emphasized during the 1970s after the split between the Soviet and the Chinese government. According to different accounts, four or five armored trains were built in order to protect the southeastern borders of USSR. Every train included ten main battle tanks, two light amphibious tanks, several AA guns, as well as several armored personnel carriers, supply vehicles and equipment for railway repairs. They were all mounted on open platforms or in special rail cars. Different parts of the train were protected with 5–20mm-thick armor. So it is not surprising that some of the last known uses of armored trains happened during the conflicts following the collapse of the Soviet Union 1990s, most notably in the disputed area of Nagorno-Karabakh, between today’s Armenia and Azerbaijan. Also, during the Yugoslav Wars from 1991 to 2001, some improvised armored trains were used by paramilitaries in the conflict in Croatia and Bosnia. These were regular passenger trains transformed into terrible land cruisers, capable of laying siege to towns and villages across the war-torn Bosnia. The most infamous train that was in service during those years was the Krajina Ekspres, employed by the members of a Serbian paramilitary in Bosnia. The train took part in a three-year-long siege of the town of Bihac, which lasted from 1992 to 1995. Even then the technology was considered to be obsolete, but in a conflict between various paramilitary and guerilla groups, such hardware proved to be intimidating. In late 2015, Pro-Russian militants in the Donbass region of Ukraine were pictured operating a homemade armored train. One armored train that remains in regular use is that of Kim Il-sung and Kim Jong-il, which the former received as a gift from the Soviet Union and the latter used heavily for state visits to China and Russia as he had a fear of flying.